Quartz is probably the most functional, yet state-of-the-art countertop option. The surface area is incredibly sleek once polished, and much stronger than granite. Through incorporating the very best aesthetic elements of granite, with the man-made scientific advantages of polymers and resins, Quartz has every one of the added benefits and very little (if any) negative aspects according to a client’s requirements and needs. When analyzed alongside all other well-known countertop surfaces, quartz has the distinction of the #1 performing countertop product. Quartz doesn’t require sealing or reconditioning. 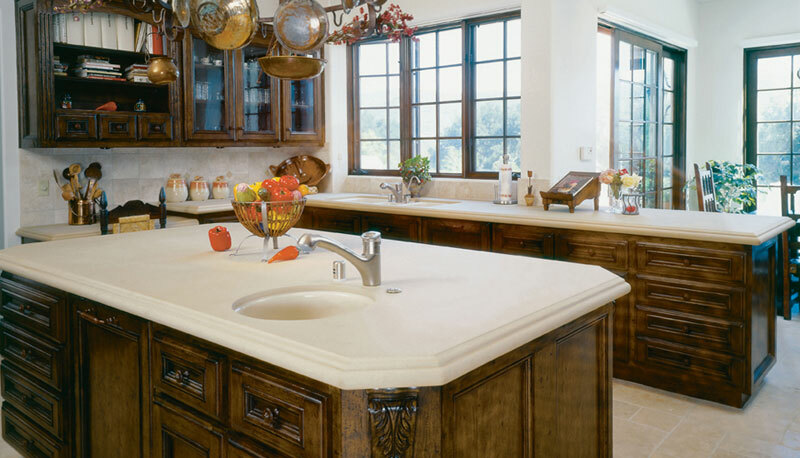 Maintaining your quartz countertop is easy. Simply just clean with warm water and a mild detergent. Quartz is 99.93% solid and withstands unsightly stains from coffee, tea, wine, grape juice, food coloring and many other substances that completely discolor or destroy more sensitive countertop surfaces. Quartz’s smooth and resistant surface area is unacceptable for microorganisms and bacteria to grow. If safe practices and health are a component of your countertop buying choice, quartz is the best selection for your kitchen. Contact us Absolute Marble and Granite today and find out how affordable our quartz countertops are, we promise you will not be disappointed.